Dove Pure Care Dry Oil hair oil is recommended for all hair types regardless the level of damage, hair structure, colour, length or volume. Thanks to natural substances content, surely the product will take a good care of your hair and scalp. Dove Pure Care Dry Oil hair oil has nourishing and protective action. It delivers many vitamins and minerals as well as it protects against solar radiation, improper combing and hot air generatied by hair styling tools. Moreover, the product gifts hair with shine and softness. 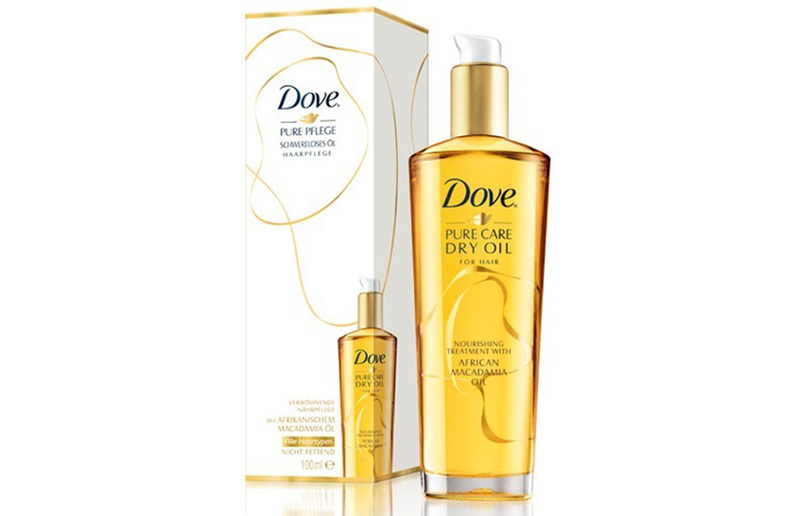 Dove Pure Care Dry Oil hair oil has light formula that doesn’t weight hair down nor clumps strands together. Additionally, the cosmetic doesn’t contribute to scalp getting greasy. If you would like to get the best effects, apply three or four pumps of the product to hair. Remember to wash hair before putting on the product and to remove the excess of water. Next, blow-dry strands or let them be air-dried. Use the oil 30 minutes before hair washing in order to nourish strands. Shampoo hair after this period. The cosmetic works great as a preparation preserving the water from evaporating. Apply it right after shampooing. Combine Dove Pure Care Dry Oil together with other hair care cosmetics in order to strengthen their action. Dove Pure Care Dry Oil hair oil is easy-accessible. You can find it in all beauty supply stores as well as in other places selling cosmetics. The easiest way to get the product is to enter the producer’s website or find the hair oil on the Internet auctions.